We are adding another quality event to the calendar. After you Fete With The Saints, the party vibes continues, you can float in a sea of merriment and Journey to Atlantis at the inaugural edition of Cruise With The Saints. 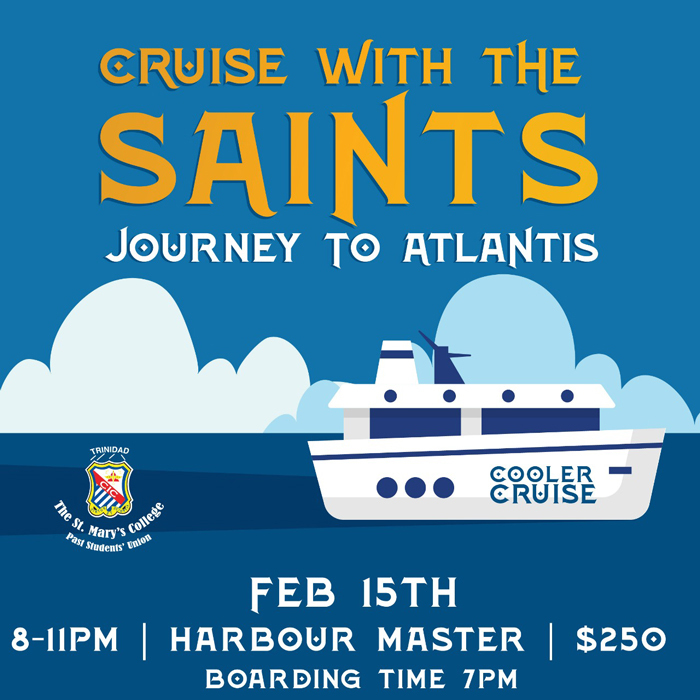 This new event takes place on Friday, February 15 from 8pm to 11pm aboard the Harbour Master, boarding time is 7pm. We will be bringing our usual high quality to this event so stay tuned to our social media channels for updates on this special event. All proceeds go toward development programmes at St. Mary’s College. Port of Spain, IT Trinidad and Tobago W.I.